We'll just need to wait four years to find out if this rumor is true or not. Bad news for fans of the Alfa Romeo 4C: It could be getting the axe come 2020. Autoline, which broke the story with info sourced from Auto Forecasts Solutions, says the issue is slow sales. So far the 4C has sold 309 cars in 2016. In 2015 a grand total of 663 4Cs were moved. Now the car was never going to be a volume seller. It’s designed for enthusiasts and isn’t exactly cheap with a base price of $55,900. This thing was never going to do big numbers. But really, what did the bean counters expect? The 4C is a sort of halo car for Alfa in North America, a four-wheeled symbol of better things to come. One thing to note is that 2020 is still four years away. There’s still a lot of time for FCA to change course—if indeed this is its course. By 2020 we may (consider that a big “may”) live in a world where the Alfa Romeo Giulia and Stelvio SUV are on dealer lots. By that time it might make sense to keep the 4C and 4C Spider around so that the model can act as a true halo car and not necessarily a beacon of hope. 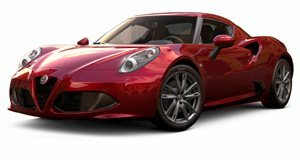 For its part FCA is denying the reports of the 4C's demise. That being said this isn't the first time we've recently heard about the 4C being destined for death. Let's give it four years before we all start to freak out.